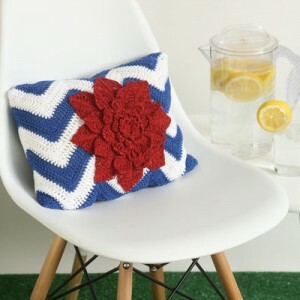 Crochet pillow patterns are a great way to add some extra style to your couch, chair or bed, and they’re so easy to make! 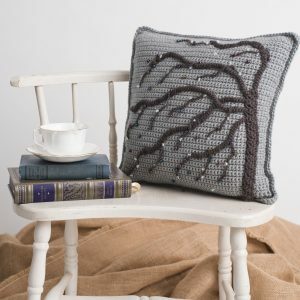 The best thing about these pillows is that they all vary in style and difficulty – find super easy designs in solid colors as well as more complex stitch patterns in varying hues. 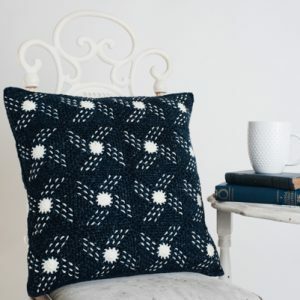 Crochet pillow designs are the perfect home decor piece: they’re small and quick to work up, and they can be seasonal or more permanent, depending on your style. 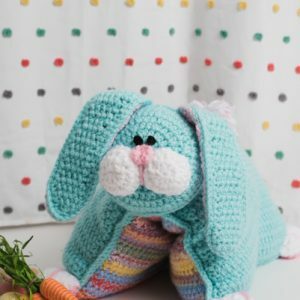 See how quickly you can crochet a pillow and then make one for every holiday… or at least for every season! 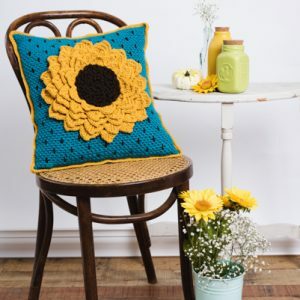 These crochet pillow designs are a way to refresh your living room decor without spending a fortune – so take a look and get hooking! This pillow embraces this bold green inspired by nature with motifs designed to resemble fresh white flower petals that have just exploded in bloom surrounded by motifs that resemble flower buds that are just about to do the same. Inspired by Japanese Sashiko embroidery, white pinwheels embroidered on dark denim indigo are a fun update to a classic pairing of colors. Turn the pillow over for a completely different look. 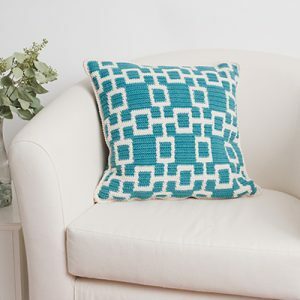 Bring a mid-century modern feel to your living room or bedroom with this eye-catching, 18-inch square pillow pattern. Use a simple two-color, 22-stitch motif repeat to create an interlocking squares pattern. Both colors of yarn are carried throughout the work, making color changes easy with only two ends to weave in. Luscious layers of golden petals create the stunning sunflower on this gorgeous pillow. The blue background is covered in crocheted sunflower seeds to complete the look. 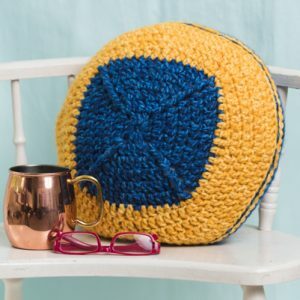 Hook up a colorful, easy throw pillow in no time! 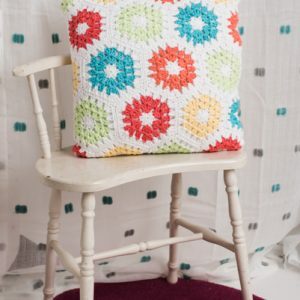 This geometric throw pillow plays with classic crochet shapes and color at a bulkier gauge to create something fun for your favorite chair.